EDITOR'S NOTE: Sharon Nesbit writes about her longtime friend, Nev Scott. If Springdale and Corbett ever had a Queen Mother it was Nev Scott. The irrepressible community leader died at her home March 21 at the age of 86. A memorial service will be held at 1 p.m. Wednesday, April 4, at Corbett Community Church, 34309 N.E. Mershon Road. Scott, with her devilish grin and buoyant spirit was a Corbett/Springdale do-gooder, cheerleader and rallying point for many a cause. 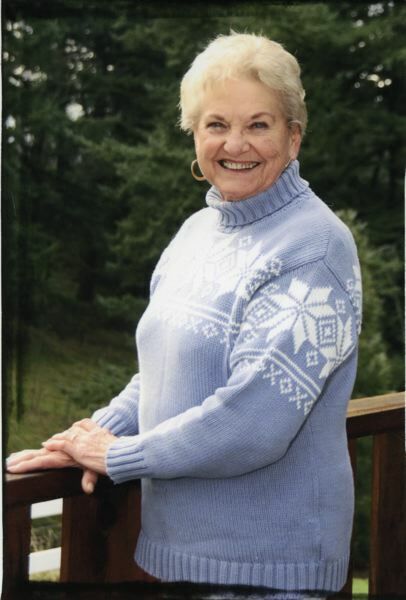 She and her late husband, Bob, moved to Springdale in 1959 when they bought a Columbia River Highway service station for $800 with borrowed money. They moved themselves and their three kids into an apartment behind the station determined to make a go of it. A series of apartments behind the station made from wreckage of the Vanport flood housed an assortment of local characters. The rentals helped the Scotts get their business going. And Bob Scott, who with his brother would later own Crown Point Towing, developed a reputation for being able to fix just about anything. Nev Scott told Corbett historian Clarence Mershon that while she was pumping gas at the station she would gaze longingly at the house across the street. "I said if I could ever have that house I would never want another thing," she remembered recently in the weeks before her death. "And, by golly, I am still here." In his book "Living East of the Sandy," Mershon wrote that the Scotts became "totally involved with the community and schools. They found early on that if they wanted improvements in their business or in the community they had to get out and make it happen." Some nights, he recounted, they would cover three meetings, her at one, he at the other and a third together. Bob Scott worked his way up to chief of the volunteer fire department ending only when his sight failed. Nev was known as the mother of the fire department and the go-to person when firefighters couldn't find what they needed. One year when a volunteer forgot to order a Santa suit in time, Nev gave him what she had handy and the tradition of Corbett's "Christmas Chicken" was born, a bright yellow chicken with scrawny legs traveling around the community in a fire truck handing out gifts and candy to local kids. Nev was in on the reclaiming of Vista House, joining forces with local volunteers to reopen it as a visitor center after years of use as a gift shop. Though she was heard to say that the Vista House design looked like — and we clean it up here — "excrement on a stump," she devoted two years to getting the project going, cleaning toilets, greeting visitors, and making coffee. It was about 1968 that the Scotts joined other parents in an impromptu parade for 4-H kids and their horses. "I don't think we had a permit" she remembered. "It was easier to just do it and ask forgiveness later." That event evolved into Corbett's famous Fourth of July parade and Fun Festival and pretty much destroyed any opportunity the Scotts would ever have to celebrate their July 3, 1949, wedding. They were grand marshals for the 25th anniversary of the festival in 1995. She was born Nevalin Carlton on Nov. 7, 1931, in Glenns Ferry, Idaho, to Harvey and Dorothy Carlton. 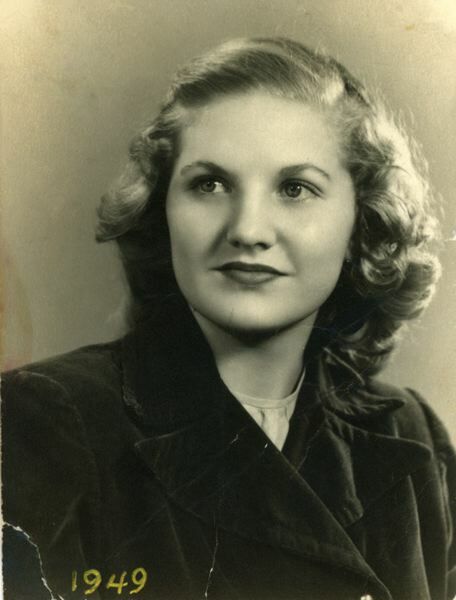 In 1948 the family moved to Newport, Wash., where she and Bob graduated from Newport High School. The couple lived all over the country when he was in the Air Force, first stationed at Fort Hood, Texas, and later in Louisiana and Florida. With their three children they returned to the west to be near family. It was on a trip to visit Bob's sister in Northeast Multnomah County that they spotted the station where they would make their lives. The house she would never leave became a center for community gatherings, Labor Day pig roasts, parties and potlucks. "Oh, the good food that we had on that back porch, and I never cooked a bit of it," Nev would chortle. One year, for Bob's 50th birthday, friends sneaked into their back pasture and spray-painted "50" on the sides of their critters. Life came with tragedy as well, including the loss of a small grandson to drowning. Every Christmas Nev put up an ornament to remember him. Deaths among the fire department volunteers hit hard and finally, in 2006, Bob's death in a rollover accident in their motor home. She is survived by her son Carlton "Lee" Scott and wife, Debbie of Vancouver, Wash.; Brad Scott and wife, Dianne, of Corbett; Carissa Wells and husband Jay, of Corbett; six grandchildren, and 15 great-grandchildren. A private interment will be at Mountain View Cemetery in Corbett. Donations in her memory are suggested for Helping Hands at the Corbett Grange or the Corbett Fire District 14 Volunteer Fire Department.